Snowmass Village is getting a makeover, and there’s going to be a whole lot more to do on the base area. Snowmass Village has been undergoing a massive, $600 million renovation, changing the base area of the ski area and giving people a lot more to do. There’s a new hotel, high-end penthouses suites for sale, caviar crepes you can buy for $120.00, free ice skating and Colorado’s tallest indoor climbing wall. Here’s a look at nine things you can check out.  – Including the $120 caviar crepe at The Crepe Shack.